David S. Ware was a major jazz saxophonist, conceptualist and bandleader. As major as they come. He began practicing meditation as a young man; going forward, his spiritual and musical development were inseparably intertwined. David S. Ware was born in Plainfield, New Jersey, on November 7, 1949. His early love of music was nurtured by some dedicated teachers at the Scotch Plains-Fanwood High School. He began his saxophone career at age 9 on alto, and then switched to baritone, before finally settling on the tenor as his musical voice. "I had played in all the school bands, the whole way through junior high and high school : marching band, concert band, dance band and orchestras." As a teen David was an ardent admirer of Sonny Rollins and struck up a relationship with the elder tenor player after seeing him countless times in the mid-'60s at the Five Spot and the Village Vanguard. The two practiced together intermittently in the '70s in Rollins' Brooklyn apartment; it was Rollins who taught young Ware the art of circular breathing in 1966. By the late-'60s, David was attending music school in Boston and playing on the local scene with Stanton Davis, Cedric Lawson, Art Lande, and Michael Brecker, who later recalled: "I remember how completely wowed I was when I heard David play – we were about 17 or 18 – here was a tremendously gifted artistic and creative presence – an inspiration to all of us." While in Boston, David met drummer Marc Edwards and pianist Cooper-Moore (né Gene Ashton), and together they formed a trio called Apogee. By 1973, David had moved to New York and became part of a circle of musicians, including Sam Rivers, David Murray, Butch Morris, Arthur Blythe, Don Pullen, Rashied Ali, and Frank Lowe, who were creating and cultivating their own loft-and-studio performing circuit at that time. Word of David’s potent voice on tenor spread quickly, resulting in a flurry of crucial work. He became a member of the Cecil Taylor Unit in a group that included Marc Edwards, trumpeter Raphe Malik and the great alto saxophonist Jimmy Lyons, and performed with Taylor’s legendary Carnegie Hall large ensemble. “Ware's distinct sound and Holy Roller fervor were already evident when he was 25, performing in Cecil Taylor's unforgettable 1974 Carnegie Hall big band.” (Gary Giddins, Village Voice, August 1/7, 2001). 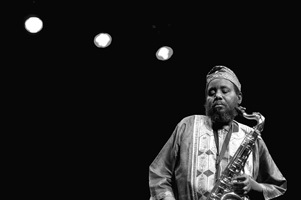 Ware toured with the Cecil Taylor Unit throughout Europe, the U.S. and Canada, and recorded an album with this group, Dark To Themselves. Subsequently, Beaver Harris replaced Edwards on drums, which led to Ware joining Harris' 360 Degree Music Experience ensemble. It was also in this time period that David joined master drummer Andrew Cyrille's group Maono, who he remained with through the decade. Birth of a Being, David's first recoding under his own name (a 1977 Apogee trio session with Cooper-Moore and Marc Edwards), was released by the Swiss label hatHut in 1979. 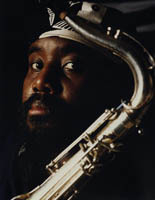 By 1981, David had toured Europe a half-dozen times: with Andrew Cyrille's Maono, the Cecil Taylor Unit, and even once with his own group (which included Beaver Harris, Cooper-Moore and bassist Brian Smith), and he had recorded four albums with Cyrille's Maono, including Metamusicians' Stomp and Special People for the Italian label Black Saint/Soul Note. In the early ‘80s, he collaborated with drummer Milford Graves. He toured Europe again in 1985 with his own group, a trio with bassist Peter Kowald and drummers either Louis Moholo or Thurman Barker. 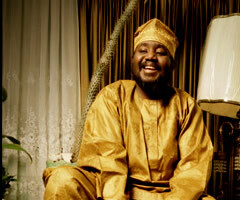 In 1987, David served briefly in trumpeter Ahmed Abdullah's band, the Solomonic Quintet, and recorded one self-titled album with them for the Swedish label Silkheart. During the '80s, David's concerns as a saxophonist shifted away from the rush and fury of extended improvisations, and into the area of concentrated thematic development. 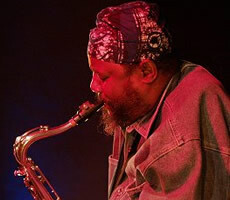 David formed a trio in 1988 with Marc Edwards and the astonishing bassist William Parker (also well-known in astute quarters by this time for his stellar presence in various Cecil Taylor groups), and recorded Passage To Music that year for Silkheart. In 1989, Ware put out the word that he was looking for a pianist. William Parker and Reggie Workman both recommended Matthew Shipp: "David got in touch with me and we started playing together. I was a big fan of Ware's work. Playing with Ware is like being at home. My style of piano really fits his compositions. He gives me freedom to be me. He doesn’t put any restrictions on me." In 1989, the David S. Ware Quartet was born. From that moment forward, Parker & Shipp were elemental mainstays. The only personnel changes in the DSWQ were the drummers: Whit Dickey replaced Edwards in 1992, followed by Susie Ibarra in 1996, and finally Guillermo E. Brown in 1999. "I'm seeing more and more the value of keeping a group together," said Ware at the time. "Rather than freelance with 14 different bands, you make the group an institution. Looking at jazz over the decades, I feel this is how the music grows the most. Musicians get a chance to be thorough, to know the material and be involved instead of skimming over the surface." Rather than compromise his musical vision, Ware chose to be patient. "I drove a cab for 14 years. I stayed out of the scene until I was ready to do my thing." He also refused to do sideman gigs. "Working with other musicians doesn't work for me. Philosophically, I find it difficult to be under someone else's umbrella." The '90s saw the full-on actualization of this group, and the increasing recognition of David S. Ware as a true saxophone colossus. A series of ground-breaking albums by the David S. Ware Quartet were released in steady succession including: Great Bliss Vols. 1 & 2 on Silkheart; Flight of i, Third Ear Recitation, and Godspelized on the Japanese label DIW; Cryptology, DAO, and Wisdom of Uncertainty on the American labels, Homestead and AUM Fidelity. The DSWQ were one of the greatest bands in jazz history and one of the most highly acclaimed musical groups of the decade. David's efforts were partially rewarded by being among the very few jazz musicians of the modern era whose work was appreciated by listeners both inside and far outside the typical jazz audience. In an unprecedented coup, the Cryptology album garnered the coveted Lead Review slot in Rolling Stone. In late 1997, David was signed to the Columbia Jazz label by Branford Marsalis. "Branford caught my show [Vienne, France 1995] and he really dug what he heard. He was sincerely moved by the music, which he hadn't heard before. He really flipped." Two years later, when Marsalis was named the new creative director of Columbia Jazz, he called Ware up. David again: "Musicians worry that once they get a deal with a major label they'll have to water down their music. But Branford said 'don't change a thing, just keep playing like yourself.'" The first album for Columbia, Go See The World, was released in 1998, and it was indeed as unrelentingly powerful as any Quartet record that had come before. The second album for Columbia, Surrendered, was recorded in October 1999 and released in May 2000. 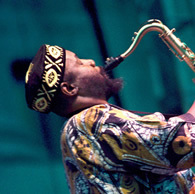 It featured interpolations of Charles Lloyd's "Sweet Georgia Bright" and Beaver Harris' "African Drums," as well as four beautiful new compositions by David S. Ware. This gorgeous album more prominently showcased the lyricism that had always been a core foundation of the Ware Quartet's music. After making these two albums for Columbia, and in the wake of their Jazz department's dissolution, ways were parted in December 2000. Wasting no time, David and the Quartet went into the studio in February of 2001 to make a new album for AUM Fidelity. These sessions were the first showcase for David’s interest in expanded sonic templates for the Quartet, and featured Matthew Shipp on keyboard synthesizer for the first time ever on record. It was also the first album David had made since forming the Quartet to principally feature compositions created in the studio, rather than a set of pieces rehearsed and performed prior. The epic Corridors & Parallels album was the result, released in September 2001. Shortly thereafter, the SFJazz organization commissioned Ware to prepare a new arrangement of Sonny Rollins' “The Freedom Suite,” especially for the DSWQ to perform at their 2002 Spring Season. A studio recording of this beautiful new arrangement was then recorded in July and released in October 2002. "This is a perfect opportunity to show the link between me and Sonny," explained Ware, "an opportune time to show how one generation is built upon another and how the relationships work in the whole stream of music that's called jazz." David carried forth the DNA of the greatest that have shaped the art of jazz, with an original sound and advanced concept that continued the further development of the art form. His formidable artistic skills went beyond being an impeccable saxophonist, improviser and conceptualist. 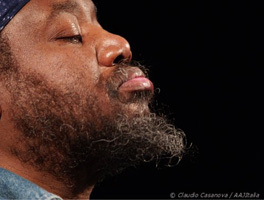 Matthew Shipp had for some time expressed a strong desire to produce a record for his label The Blue Series that would more explicitly showcase David’s talent as a composer. This came to fruition with the recording of Threads in 2003. The resulting music, built on delicate, cinematic rhythms and melodic fragments, reveals a classical sensibility, and sounds like a new form of jazz chamber music. On some tracks, Ware's sax is nowhere to be heard; his artistry is fully presented through his distinct compositional approach. David explains. "I'm interested in using different techniques to get to a place of transcendence. The thing that makes music great is that it's an infinite thing, an endless thing. Personally, I'm interested in going down more than one path, as far as the form, the melody are concerned. I don't want to restrict myself as to what area or style of music I can deal with." After more than 15 years of performing with his quartet across Europe and the U.S., garnering a tremendous amount of critical acclaim along the way, the David S. Ware Quartet had not yet released a live recording. Rectifying that, Live in the World, released in 2005, was a three-disc offering of three different concerts, each representing different phases and selections of material. On performing live and touching on the transcendental, Ware says, "This is one of the ultimate things in musical experience, to touch upon that universal, that cosmic reality, that makes us all related. That makes us, all human beings on this planet, truly brothers and sisters." In September of 2005, on the occasion of Sonny Rollins' induction into the Nesuhi Ertegun Jazz Hall of Fame presented by Jazz at Lincoln Center, Mr. Rollins invited David and the Quartet to perform a section of "Freedom Suite" as part of the ceremony. By the Spring of 2006, David had a new set of compositions prepared for the Quartet, and it was decided to record these new pieces live in concert as well. That exquisite concert was the main headlining event at Vision Festival XI (NYC) in June 2006. It was also the last time that the DSWQ performed in the U.S. The resulting album, Renunciation, was released in April 2007 and was met with yet another round of acclaim from critics and fans alike. The DSWQ embarked on one final tour of Europe in Spring 2007 before disbanding, and the awesome penultimate concert of that tour was recorded and later released as the vinyl-only Live in Vilnius by NoBusiness Records. Even before Renunciation was released, David was conceptualizing other configurations and beginning to compose for same. In July 2007, a new group featuring guitarist Joe Morris made its debut at the Iridium Jazz Club in NYC. This group's membership was solidified with the addition of David's stalwart musical companion William Parker on bass, and fellow master musician Warren Smith on drums; they embarked on a European tour in November 2007, and continued working toward a studio recording which took place in May of 2008. The gorgeous resulting album, Shakti, was released in January 2009. 2009 was David S. Ware's 50th year of playing saxophone. He had planned to celebrate this momentous occasion by recording a special project in the Spring with the resulting album to be released in the Fall. However, his health reached a critical state in December 2008. David had been on peritoneal dialysis since being diagnosed with kidney failure in 1999 and though he had been profoundly productive since that diagnosis, the prospect of living on dialysis had finally reached its outer limits. An urgent message/search for a kidney donor was sent out to AUM Fidelity's email list on January 16, 2009. Among other blessed humans, Laura Mehr responded to this call and on May 12, 2009 one of her kidneys was successfully transplanted. Infinite blessings upon her. 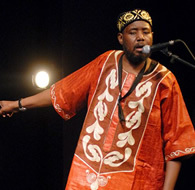 Only five months later, on October 15, 2009, David S. Ware made his triumphant return to the stage in a solo performance at Abrons Arts Center (NYC). This luminous concert – displaying an undiminished playing ability rich with new invention – prompted features in The New York Times and on NBC Nightly News. It was also recorded (of course), and released in March 2010 as Saturnian (solo saxophones, volume 1). 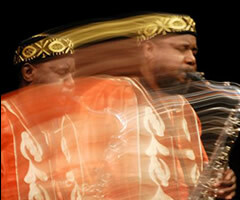 In December 2009 Ware returned to the studio, fulfilling the original idea of marking his 50th year of singular saxophone artistry with a special recording date. The session featured David on three different saxophones (saxello & stritch in addition to his customary tenor), along with William Parker on bass and Warren Smith on drums and tympani. The session was not preceded by group rehearsals (unlike most of his albums from the past 20 years) as the intent was to let the forms of this new music express themselves; trusting in the collective skill of the assembled musical masters to manifest the majesty. This session was of the godhead and was released as Onecept in the Fall of 2010. This trio made their live debut at Vision Festival XV, NYC in June and performed a stellar pair of sets at the Blue Note, NYC to celebrate the album's release in October 2010. It must be stated plain and clear: David S. Ware's capacity for awe-inspiring invention and elocution thereof was stunning anew in this last stage of his creative life. His presentation of solo concerts continued with dates in Brooklyn (March 2010) and Chicago (Umbrella Festival, November 2010). Both of these were captured in full glory and released in September 2011 as the second installment in his planned series of solo recordings. 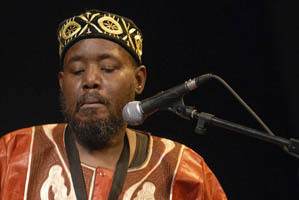 In November 2010, a monumental new group communion took place at Brooklyn's Systems Two Studio: David S. Ware, Cooper-Moore, William Parker, and Muhammad Ali performed together for the first time ever. Planetary Unknown was the name of this group and the album, the release of which was celebrated with their worldwide live debut at Vision Festival on June 10, 2011. David was invited to perform at Jazzfestival Saalfelden in August 2011. That stunning concert was his final public performance. The final year of David's life was especially fraught with a series of severely increasing health complications stemming from the required regimen of immunosuppresant medications and his body's reaction to same. He fought hard and focused on the day when he would be able to play music again, looking forward to picking up even more new instruments. His body finally succumbing to an aggressive blood infection, David S. Ware passed away on the night of October 18, 2012 at Robert Wood Johnson University Hospital in New Brunswick, NJ.